We have massive amounts of Mardi Gras beads in our house. Beads, plush toys, cups, tridents, doubloons, chips, Muses shoe, Nyx purse. You name it, we got it (except for a coconut). But what do we do with the beads now? We’ve asked our New Orleans friends and searched Pinterest for ideas. 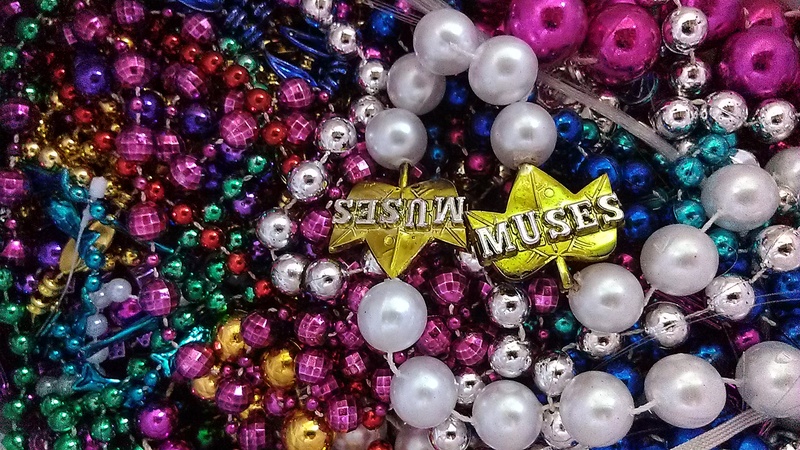 Voila – 24 things to do with Mardi Gras beads.